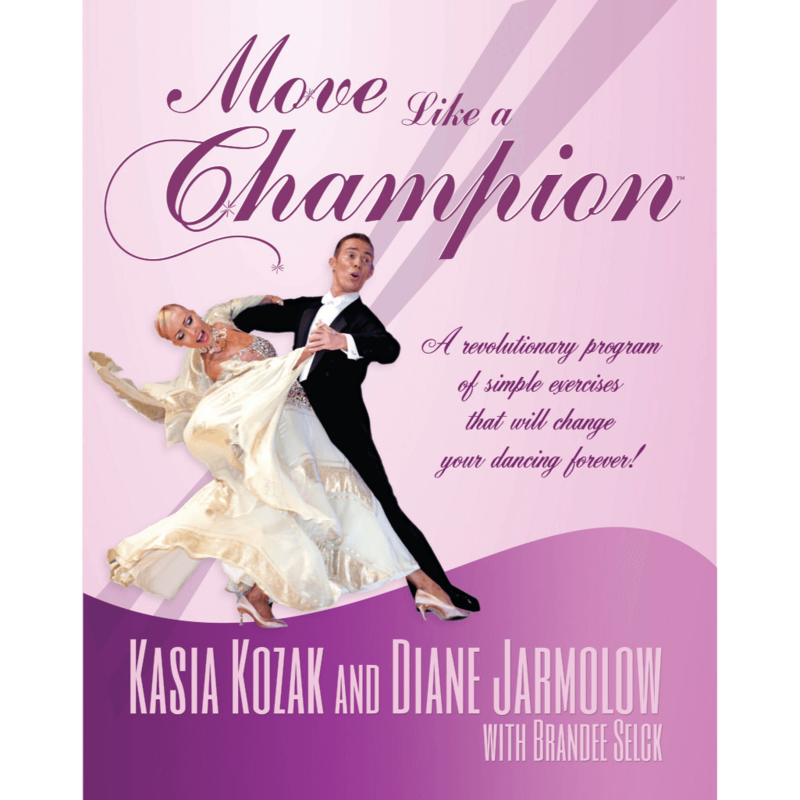 Take home all the revolutionary concepts from the Move Like a Champion workshop series now in book format. 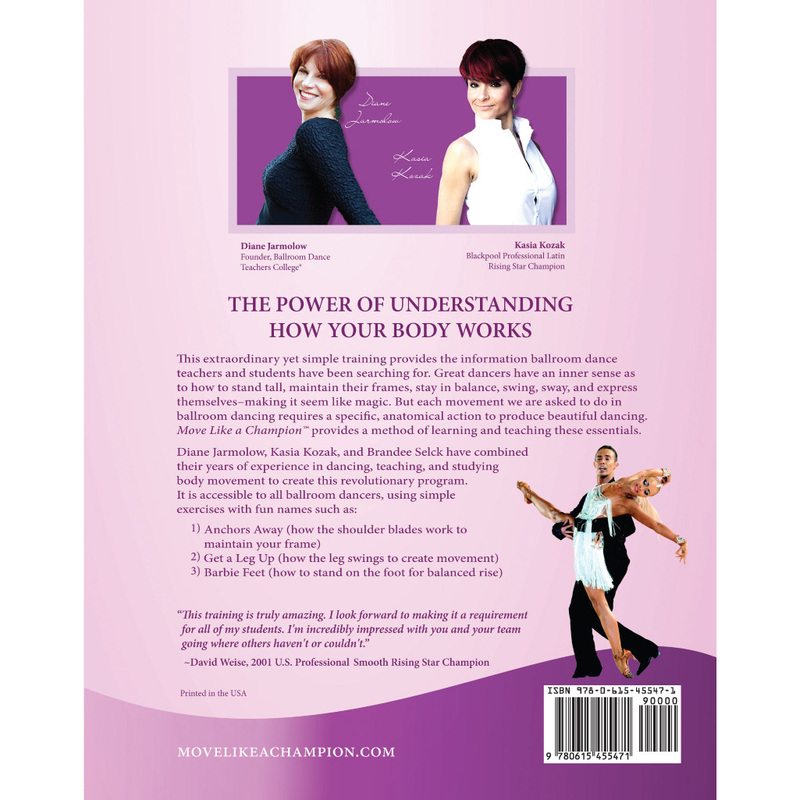 Written by world-class dance instructors Diane Jarmolow and Kasia Kozak with Brandee Selck, Move Like a Champion: The Power of Understanding How Your Body Works will give you valuable insight into the techniques and theories that produce championship-level dancers. Order today and unlock your full dance potential! Here are a few pages from ‘Move Like a Champion’ for you to sample! This training is truly amazing. I look forward to making it a requirement for all my students. I’m incredibly impressed with you and your team going where others haven’t or couldn’t. I thoroughly enjoyed the course and highly recommend it, Diane and Kasia did an excellent job of presenting a huge amount of information and making it easy and fun to practice and implement into our daily routines as both dancers and teachers. I love that you are providing this material to DanceSport teachers. It is important for all teachers to understand how the body works and then how to help our students become more proficient movers. Thank you. I feel that [becoming Move Like a Champion certified] is critical to my development as a competitive dancer and teacher. I had the greatest experience with the Move Like a Champion shoulder blade spreading activity. We were having our little kids camp where my students teach Elementary age kids. I was working in the hallway with one of my High School kids and a parent was sitting there watching. I did the thing where you do the pushing on the shoulder blades apart then lock down the shoulder. The further I pulled on the students shoulder blades the bigger the Mom’s eyes got. She was so impressed! She then later at the lunch break had me do it again showing the other kids what I had done and I got the same reaction. Then all of the kids wanted me to do it to them. It was so much fun. Thanks Diane!! !